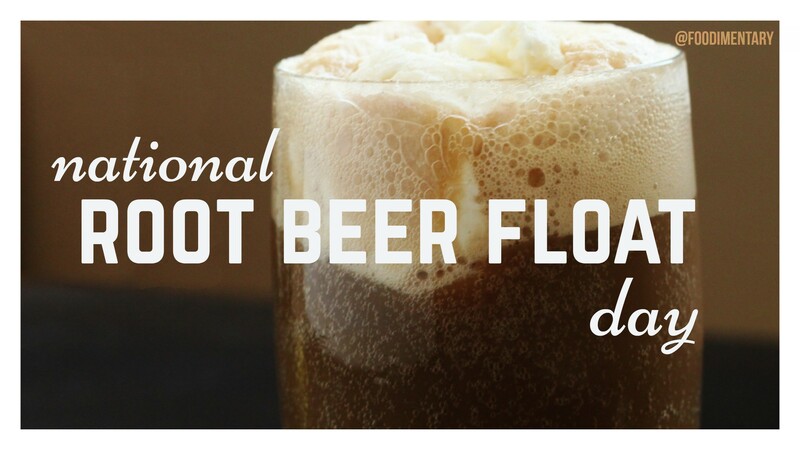 August 6th is National Root Beer Float Day! Happy National Root Beer Day! Authentic Root beer is made with up to 16 Roots, & herbs. Colonist were actually the first people to make root beer. The A and W in A&W stands for Alan and Wright. Hires Root beer was introduces by Charles Hires in 1876 Philadelphia’s Centennial Exposition. The most original ingredient was Sassafras. It comes in an alcoholic drink as well. 1889 The Savoy Hotel opened in London, with Cesar Ritz and Escoffier. 1911 Lucille Ball was born. Two of the funniest food related comedy routines ever done were the chocolate factory and the grape stomping episodes from her TV show. 1928 Andy Warhol was born. American painter of the pop art movement. In the 1960s he made paintings of Campbell’s Soup cans, Coca-Cola cans and other American products. 1954 David Grandison Fairchild died. An American botanist and agriculturalist, he was responsible for introducing many useful plants to the U.S. Author of ‘The World Was My Garden,’ and ‘Exploring for Plants’.